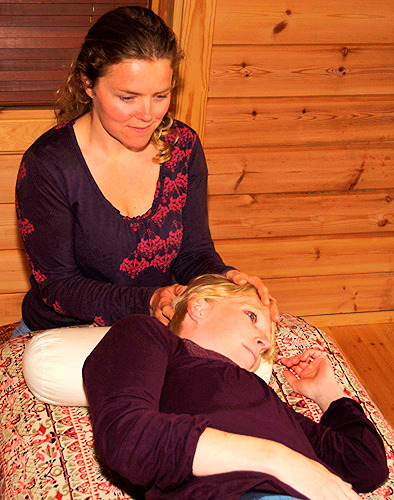 What Happens During Craniosacral Treatment? In a typical craniosacral session, you will usually lie (or sometimes sit) fully-clothed on a treatment couch. The therapist will make contact by placing their hands lightly on your body and tuning in to what is happening by ‘listening’ with their hands. Contact is made carefully so that you will feel at ease with what is happening. At each session it is your own body which determines the pace of treatment. Nothing is ever forced and the pressure used is sometimes so subtle that it is hardly noticeable.